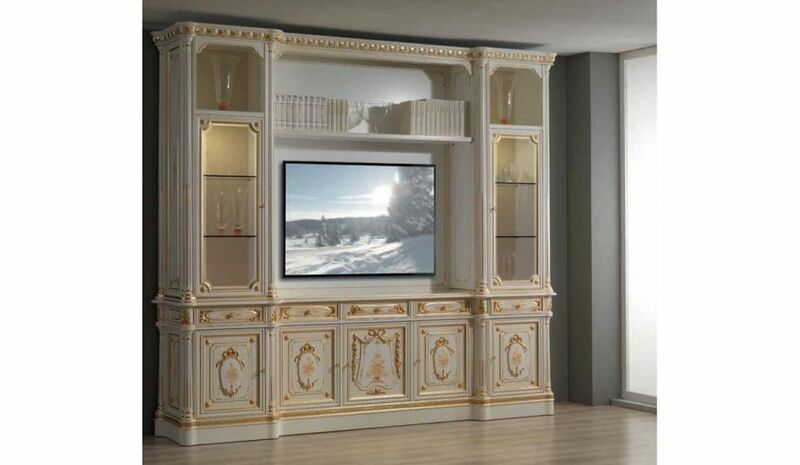 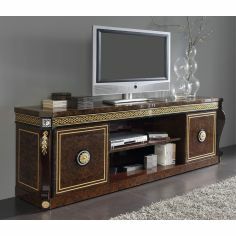 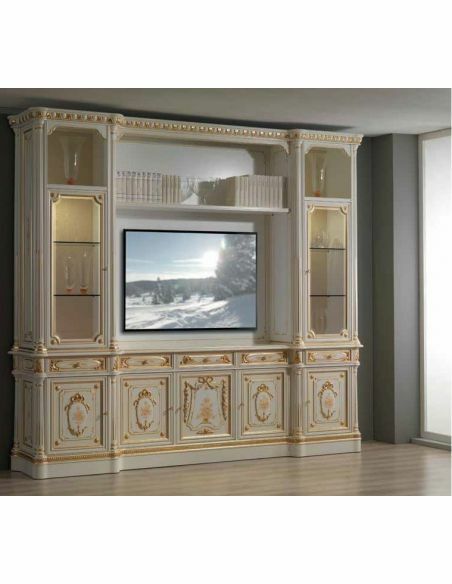 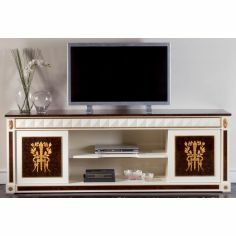 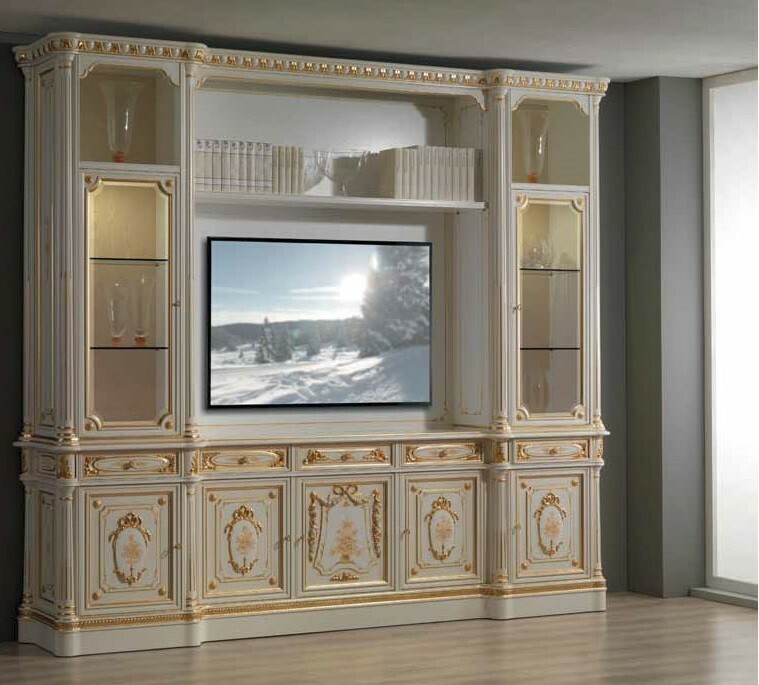 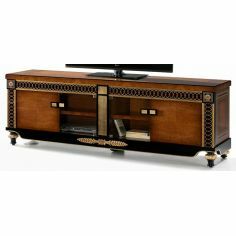 Angelic Cream and Gold TV Unit from our European hand painted furniture collection. 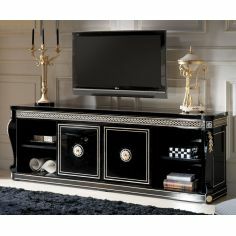 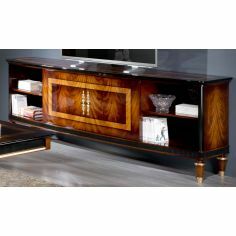 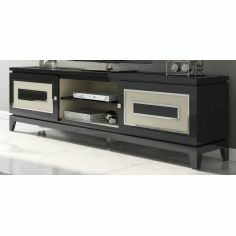 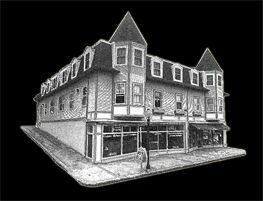 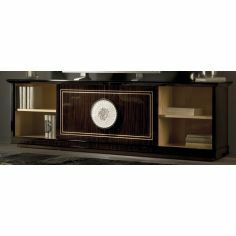 Truly delectable eye candy of the home furnishing world. 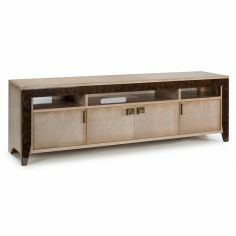 116.14" x 18.89" x 102.36"